Here's a fact: Cebu island is made up of 80% mountainous terrain. It's hard to imagine when you're in the urban area or hitting one of its famous beach coasts - the mountain backdrop simply rests there quietly. So, in an effort to push the province's hilly backyard into the spotlight, the provincial government, through the help of its different agencies, has cooked up a lovely treat for its running community. 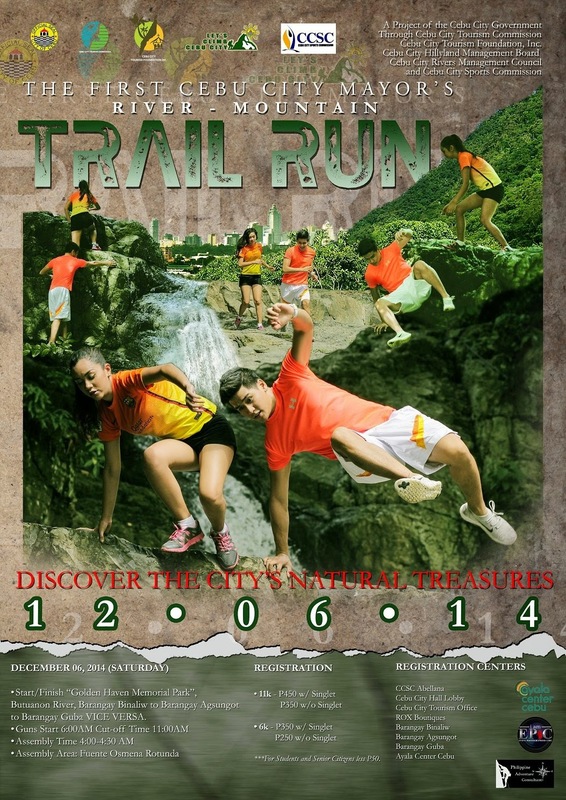 Announcing The First Cebu City Mayor's River-Mountain Trail Run (Discovering the City's Natural Treasures) - happening on December 6, 2014! *UPDATE: EVENT POSTPONED DUE TO TYPHOON RUBY/HAGUPIT. The race course will loop through the woody and rocky trails of Barangays Binaliw, Agsungot and Barangay Guba just located in the city's border. Runners will be challenged to conquer trail slopes, manage boulders alongside a waterfall and splash-run through riverbanks. It's a refreshing change of scenery, and not to mention terrain, for the road runners. 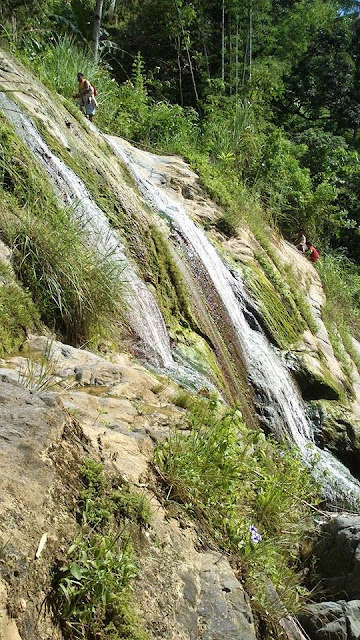 It's absolutely a must-join activity for hikers and nature-lovers alike. P52,000 worth of cash prizes will be given to the toughest runners. There are two categories for each distance: Male and Female. This event is a project of the Cebu City Government through Cebu City Hillyland Management Board, Cebu City Rivers Management Council, Cebu City Sports Commission, Cebu City Tourism Commission and Cebu City Tourism Foundation. In cooperation with: Philippine Adventure Consultants (Technical organizer), Event Photographers Cebu and Ayala Center Cebu. Q&A portion, L-R: Mr. Edward Hayco (CCSC), Mr. Pastor Alcover II (CCHMB), Sen. Pia Cayetano, Hon. Mayor Mike L. Rama, Ms. Belinda Navascues (CCHMB), Mr. Larry Honoridez (PAC). During the press conference, it was also announced that there will be an event photography contest on the race day. The lovely Miss Cebu delegates are taking part in the race, as photography subjects and possibly some of them as runners. Sentaor Pia Cayetano's Pinay In Action supports the event, so she will be racing on the day, too. All registered participants must bring their own hydration system - reusable water bottle/hydration bladder/hydration belt/etc. Only water refilling stations will be provided by the organizers. This is to ensure that no plastic cups/disposable bottle/unnecessary trash will be left behind along the trails. The same principle holds for the limit in the number of participants. The race registration is capped at 700 participants to manage the human impact on the area. As of November 4, 2014, 90 participants are officially registered. Slots are limited, so better register early! *Presscon photos grabbed from event's FB page.